What's It Like In Morrisville, NC? Nestled among Durham, Raleigh, Cary, and Chapel Hill, the town of Morrisville really is at the center of everything. Residents love the convenience of living in Morrisville and enjoy the small town feel and community activities. Despite that small town feel, progress and diversity thrive in Morrisville. People from around the globe call Morrisville home, and that is evident in the diverse selection of restaurants and shops that make up the many small businesses of Morrisville. Residents also love the cultural events and festivals that are a wonderful part of living in Morrisville such as the East Meets West Festival and variety of holiday celebrations from around the world. Neighbors from all walks of life join in and are welcome to celebrate together. Great neighborhoods for walking and biking: Though it is considered car dependent, there are walkable and bikeable neighborhoods in Morrisville that make it easy to get to shopping, restaurants, and parks. 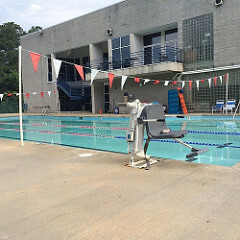 Plenty of Amenities: Morrisville boasts excellent parks and facilities including a fitness and aquatic center that offers year round swimming at an affordable rate. Close to RDU: Though most people think of the Raleigh Durham International Airport as being in either Raleigh or Durham, it is actually located in Morrisville. Central location: Morrisville is at the heart of the Triangle and offers ease of travel to Raleigh, Durham, Chapel Hill, and Cary. Shops and restaurants: Morrisville has a lot to offer in the way of shopping and restaurants, and thanks to its central location, it is also easy to go for a night out in a neighboring city. Jobs: Morrisville’s top employers include some heavy hitters across a variety of industries. Diverse Culture: Known as Wake County’s most diverse community, Morrisville residents enjoy being neighbors with people from around the world. Where is Morrisville, North Carolina? Morrisville is located on the western side of Wake County, North Carolina. Truly at the heart of the Triangle, Morrisville is bordered by Durham to the north, Cary and Apex to the south, Raleigh to the east, and Chapel Hill and Jordan Lake to the west. Only 18 miles separate Morrisville from Chapel Hill, while the distance to Raleigh is even shorter at just under 14 miles. Traditional single-family homes certainly define the real estate landscape here in Morrisville, North Carolina. Some of the premier subdivisions in town include Weston Estates, Preston, Providence Place, and Wexford. 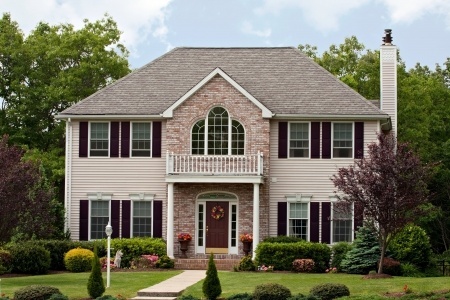 Those searching for a Morrisville home for sale will find a variety of styles and price points to choose from - anything from large 5-6 bedroom estate homes to quaint cottage-like homes similar to what’s featured in Lennar’s Kitts Creek development can be found at ease all throughout Morrisville. However, if you prefer something a little more affordable and much easier to manage, take a look the maintenance-free townhome opportunities at communities like Shiloh Grove, Breckenridge, or Keystone Crossing. Recent housing statistics show an estimated median home value of $278,700 in 2017. Home values have risen over the past few years, and are predicted to continue to rise - that's no surprise considering the caliber of jobs, education, and amenities that can be found in Morrisville. To learn more about Morrisville, NC homes for sale, or to schedule an appointment to view an active MLS listing currently on the market, give Brandon Duncan with Duncan Prime Realty a call today at (919) 808-2001. Morrisville, NC families are served by Wake County Public Schools. Morrisville’s public schools are highly rated online. Parents like the high parent involvement and great teachers at Morrisville public schools. Parents may also choose from the private and charter school options in and around Morrisville. For higher learning, Morrisville is ideally situated near top universities and colleges in the area including North Carolina State University, Duke University, UNC, and several more. Additionally, the RTP Campus of WakeTech Community College is located in Morrisville, and the Western Wake Campus is also convenient in nearby Cary. Students and library-lovers in Morrisville have a couple of options. The Goldberg Library is located in Morrisville, and the West Regional Library is just outside Morrisville in Cary. Durham and Wake county libraries are both convenient to Morrisville. Due to the area’s rapid growth, new schools and a library are scheduled to open in the near future. Thanks to its location just south of the intersection of I-40 and I-540, getting from Morrisville to other parts of the Greater Triangle area is a breeze. Highway 54 runs north to south through Morrisville, connecting it to Durham and Cary. In addition, Morrisville’s Parkways make it easy to travel from point A to point B within the town. Public transportation is available through TRACS and the GoTriangle bus service. As part of the Triangle and Wake County, additional transit plans are in the works in Morrisville to improve public transport accessibility and routes. Proximity to the Raleigh-Durham International Airport, Interstate 40, and Research Triangle Park make Morrisville an enviable address for businesses. In fact, the top ten employers in Morrisville is an impressive list of companies from big-name tech, banking, bio-tech, and more. The top five Morrisville employers have 1,000-2,000+ employees! However, Morrisville isn’t made up of just big businesses. Morrisville is friendly to businesses of all sizes, and small business people love it here too. Additionally, its centralized position between Raleigh, Cary, Durham and Chapel Hill makes it easy to work in a neighboring community. This gives Morrisville residents a wide variety of career options without having a long commute. The average commute time in Morrisville is less than 25 minutes. The Morrisville Parks, Recreation, and Cultural Resources department operates several beautifully maintained parks, greenways, and facilities. They also offer many classes and programs for all ages. From athletics to summer camps and continued learning, there truly is something for the whole family to enjoy in Morrisville. Morrisville also hosts a number of wonderful community events which include an Annual Tree Lighting, Easter Egg Hunt, July 4th celebrations, Movies In The Park, Trick Or Treat The Trail, and Springfest - a spring festival featuring midway games, rides, entertainment, and food trucks. 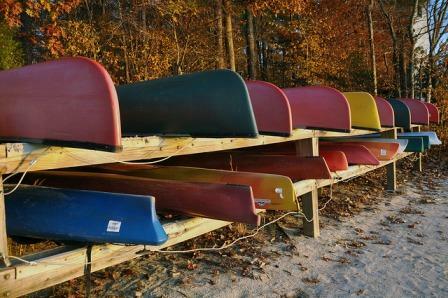 In addition to the parks managed by Morrisville, locals also enjoy county and state parks such as Lake Crabtree County Park, which offers boating, fishing, hiking/biking trails, volleyball, and lots more. If you're looking for something to do in Morrisville, you have a number of interesting options. From shopping to mountain biking, there's something fun and interesting to do. These are three of the most unique and best rated activities in Morrisville. Gather some friends and challenge yourselves to see if you can make it out within 60 minutes! Kids of all ages love to watch the planes land at RDU and listen in on communication between pilots and the tower. 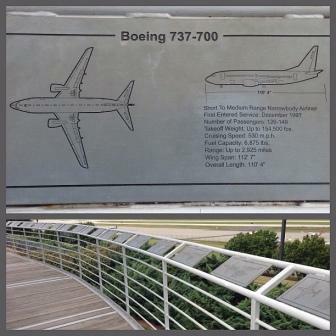 With free parking and a picnic area, this is a great spot to eat lunch and enjoy the sweeping views of the runway. Though tucked away near the airport, this Italian cafe is a favorite of locals and visitors alike. Patrons rave about their pizza and pasta! Highly rated for exceptional food, service, and ambiance, this Cuban cafe near RDU is a favorite of visitors and locals. When they say BBQ Shack, they mean BBQ shack! This unassuming shack off highway 54 offers great Q, friendly service, and snarky decor. Named after Jeremiah Morris in 1852 because of a generous land donation for a train depot, water tower, and various other buildings, Morrisville has since transformed into a thriving town in the heart of the Triangle. Since 2000, Morrisville has seen a population increase of roughly 300%, largely in part because of several major employers in the area like Lenovo, Oracle, and Credit Suisse. In 2015, the population of Morrisville was estimated at 23,820 — a number that suggests the area is among the fastest growing in the entire Research Triangle area.